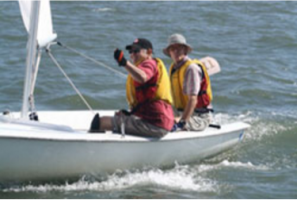 Deltaville Yachting Center & Chesapeake Yacht Sales is the proud title sponsor for the Hampton Sunfish Challenge & Long Distance Dinghy Race and for the 5TH year in a row! 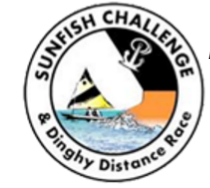 The Sunfish Challenge welcomes on the start line, all dinghies 22 feet or smaller, to come and race from Willoughby Spit, around Middle Ground Lighthouse, and back to Willoughby. This tour of the historic Hampton Roads harbor is approximately 11 miles in length, as the crow flies. Participants will race past the Norfolk Naval Base, world’s largest, and sail in the same waters as the historic battle of the Ironclads, the USS Monitor & USS Merrimac. To get an idea of the route, look below for the map!